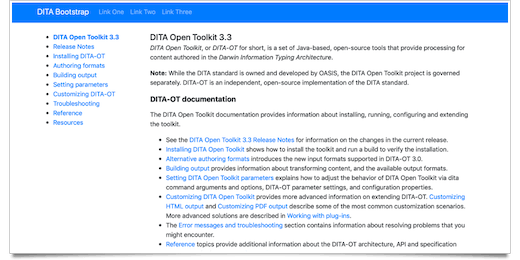 The DITA Technical Committee at OASIS, the international open standards consortium, has announced the approval of DITA version 1.1 as an OASIS Standard. 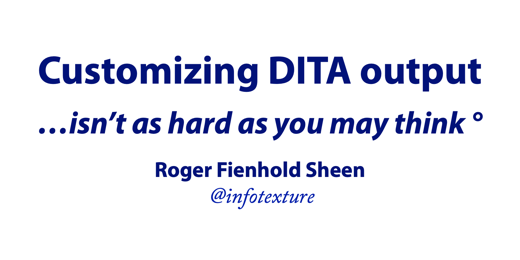 Version 1.1 of DITA provides enhanced print publishing capabilities with new DITA Bookmap specialization, including extended book metadata. The standard offers more indexing capabilities with new elements for “see” and “see-also” references. It features new elements for defining structured metadata as well as the ability to add new metadata attributes through specialization.